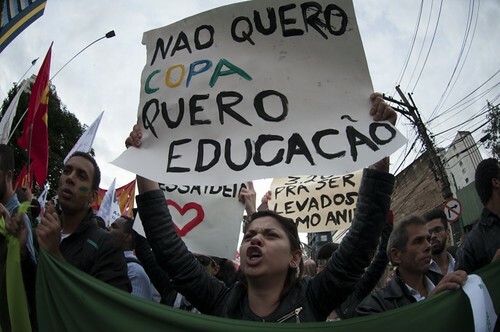 The Brazilian people do not want to see their money spent on new stadiums for the World Cup, while lacking health, education, transport and safety standard of taxes charged (50%). Finally the people came out to the streets for the first time with no ties to political parties. As they say in the national anthem .... You will see that your son does not run from a fight. The music speaks ... comes to the street that the street is the largest stands of Brazil.